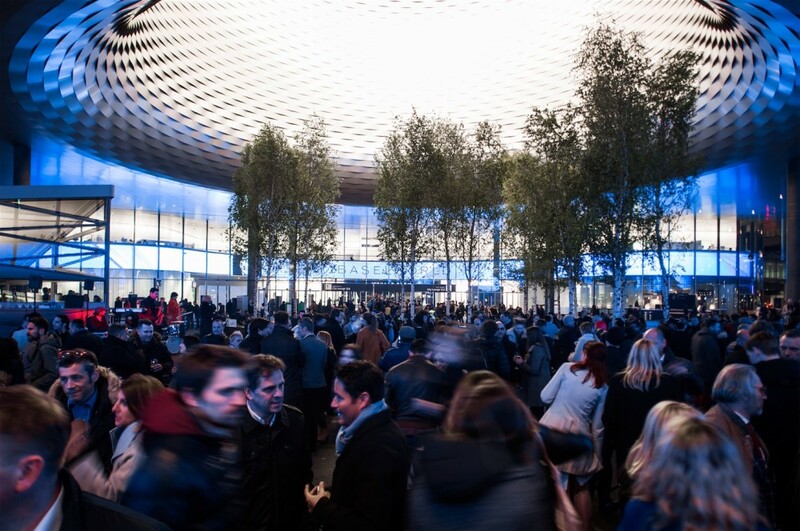 In the 99th year of Baselworld, we came away less impressed than last year, despite there being 4,400 media reps and 145,000 participants. It seems that the brands are making 2016 the year of caution, with limited releases, innovations and flamboyance. Maybe this will help them “wait and watch” (no pun intended) until the luxury world is ready to explore new frontiers. 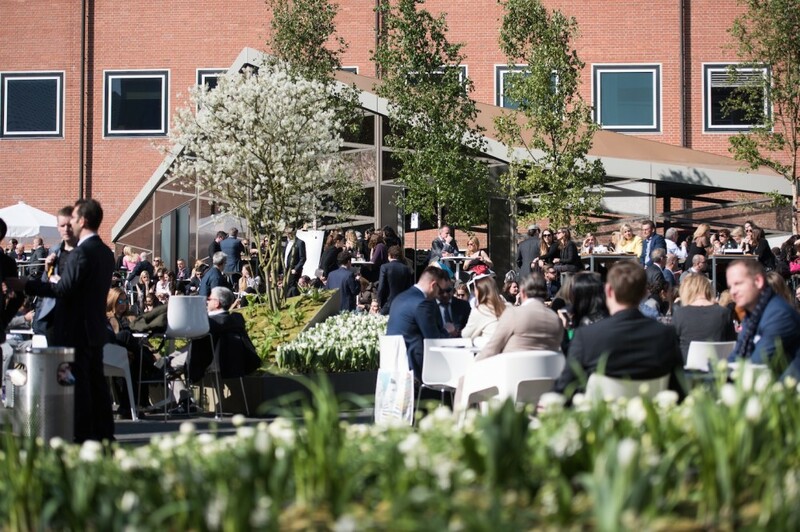 Louis Vuitton was missing from the fair, and while the usual suspects held fort and rallied, they lacked the lustre of the previous years. 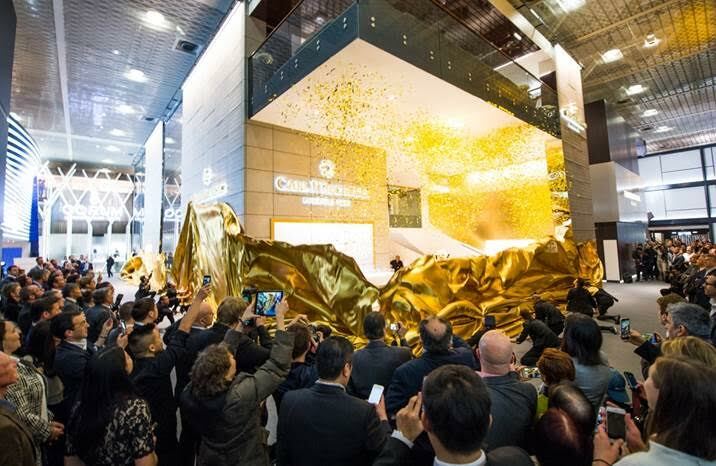 Nevertheless we bring to you some of the key trends and big launches of the year. For watch details and to view full screen, toggle gallery by clicking on any of the thumbnails below. 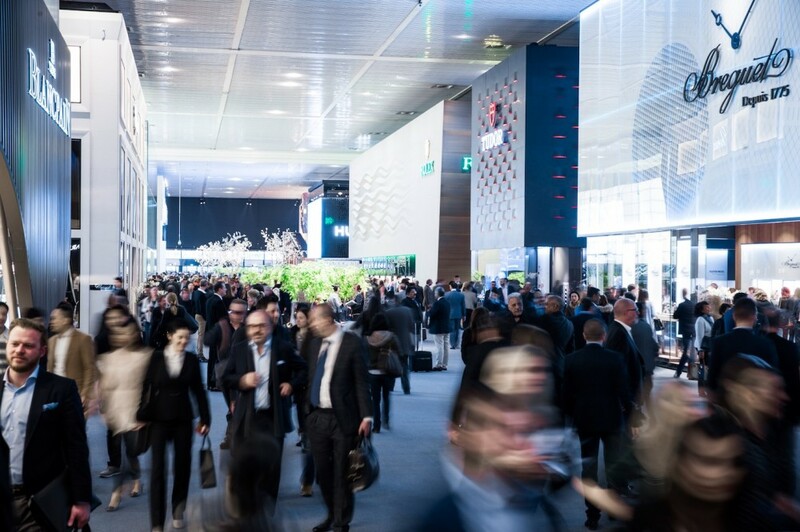 Weight and thickness are a talking point, as more brands explore lighter materials in the dial, case and bezel to ensure that the watch becomes more accessible even with complications. The 50-mm watch has a case made from the brand's own innovative material called Breitlight, which is 5.8 times lighter than stainless steel and 3.3 times lighter than titanium while being harder than both. The transparent sapphire crystal case, skeleton dial made from transparent resin and polished sapphire crystal bezel give the impression that the in-house HUB 1242 Unico movement is suspended in mid-air. The minimalistic wristwatch is crafted from a trio of incredibly light materials – silicon nitride ceramic, anodized aluminium and hardened titanium. 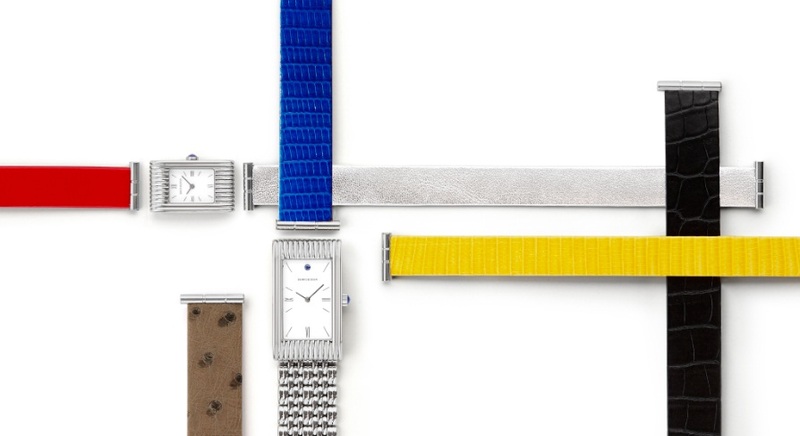 A Nato strap secures the 56-gram limited-edition timepiece to the wrist. 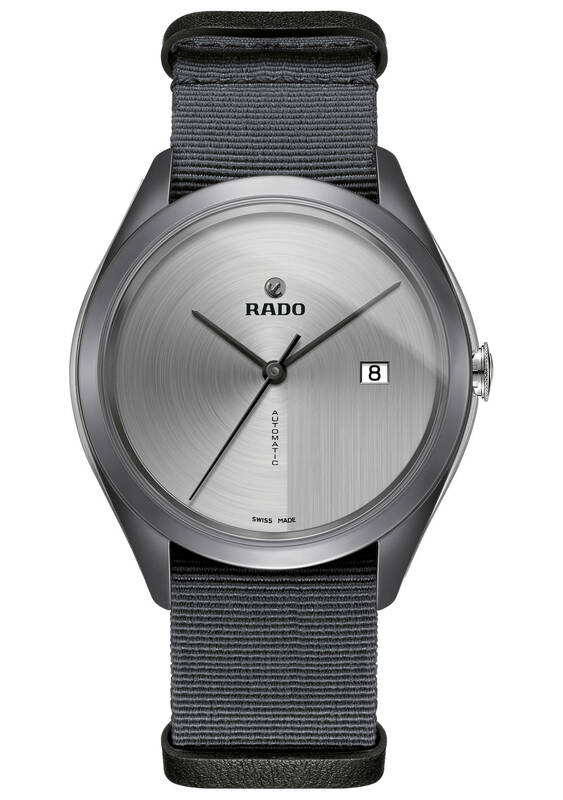 The brand sets a new record with this being the thinnest striking watch currently on the market. The titanium case helps to make it light weight while acting as a soundboard for the chimes, due to the metal's low density. The world’s thinnest light-powered watch, it is fitted with a movement that is merely 1 mm thick, within a 2.98 mm-thick case. The case of the Eco-Drive One Limited Model and the bezel for the others all use cermet – a high-end composite made of ceramic and metallic materials. Each piece is crafted using high-tech ceramic, in a monochrome colour palette of white, black or plasma. 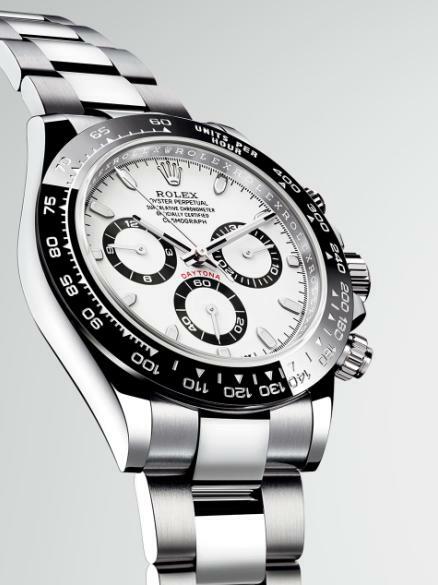 The dial is stripped of indexes, subdials, flourishes and even the second hand. With a case that measures just 4.9 mm, this is the thinnest ceramic watch that the brand has ever produced. 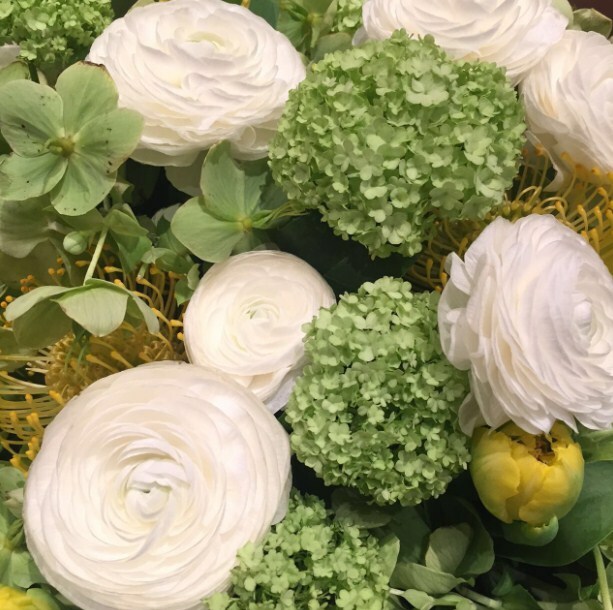 While small case sizes have always existed for women, it seems that with a desire to draw more women into the picture, the options have just grown. The brand celebrated the 60th anniversary of the Ladybird with a limited-edition version of the iconic ladies' wristwatch. 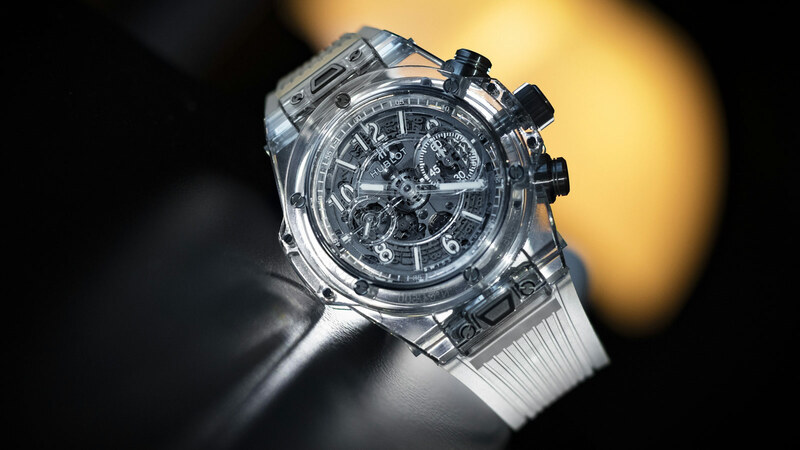 It features a 21.5 mm case made from 18-carat white gold and a bezel set with 32 diamonds. 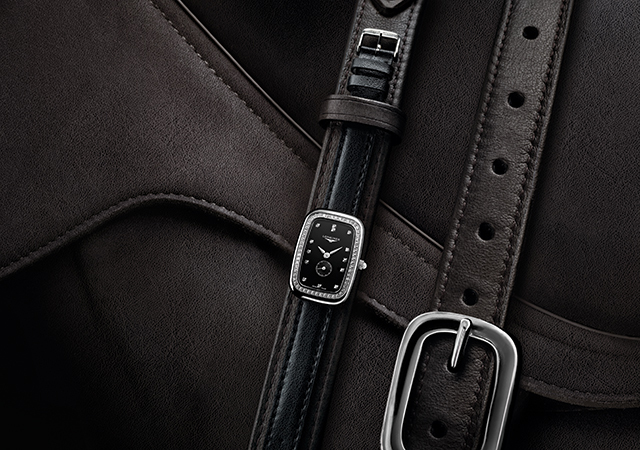 The brand introduced an all-new new mini version, in 22 mm, of their heritage signature wristwatch. 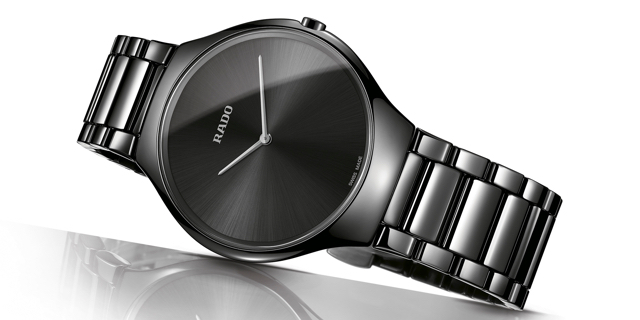 Following the successful Centrix men's watch debut, Rado introduced this open-heart watch for ladies. Available with two different high-tech ceramic bracelet and one classic brown leather strap, the 36-mm watch is studded with 12 Top Wesselton diamonds. Inspired by the buckle on a saddle, the new additions to this collection are available in four sizes, including 28 and 32-mm versions. 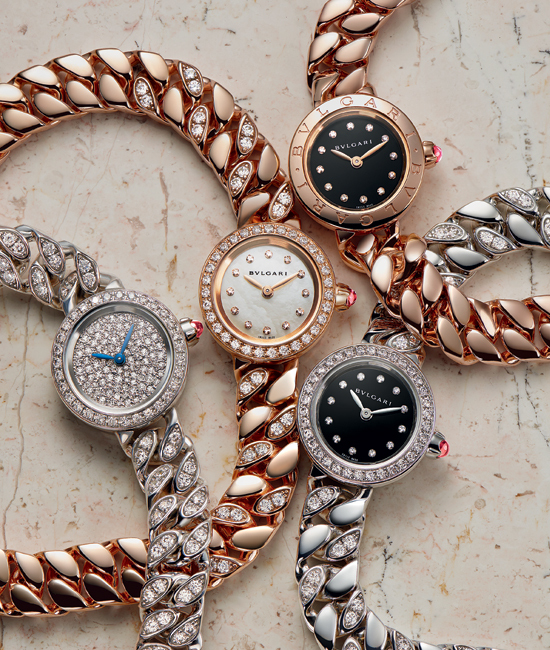 The Lucea was reinterpreted in a daintier fashion as an interlocking-link bracelet watch with a 23-mm case. 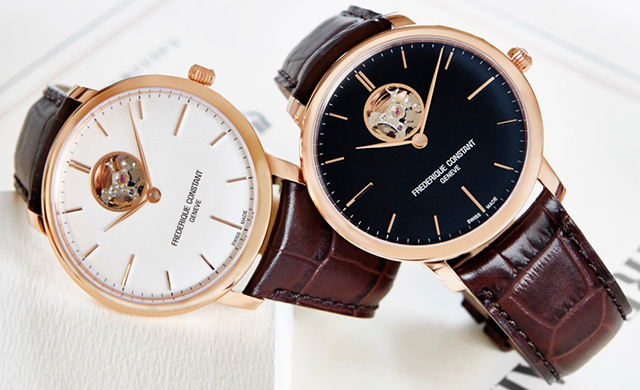 The brand impressed with a smaller, customisable version of their successful jewellery watch model. 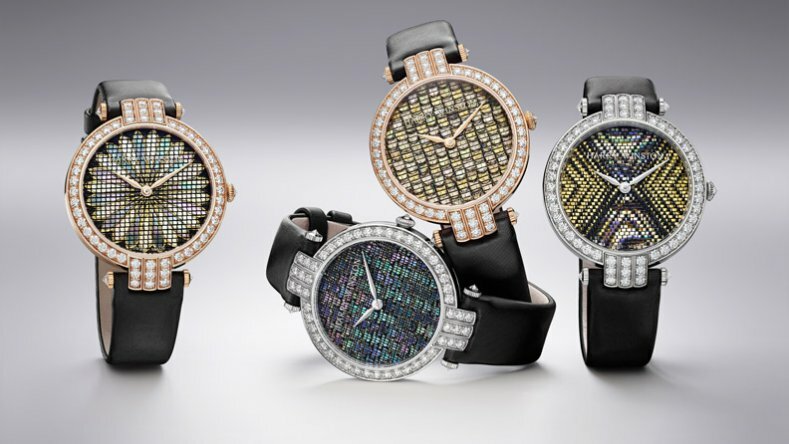 Available in four colours, the 30mm works of art feature 70 briolette-cut and 980 round brilliant diamonds, with a total of approximately 73 carats of precious stones. 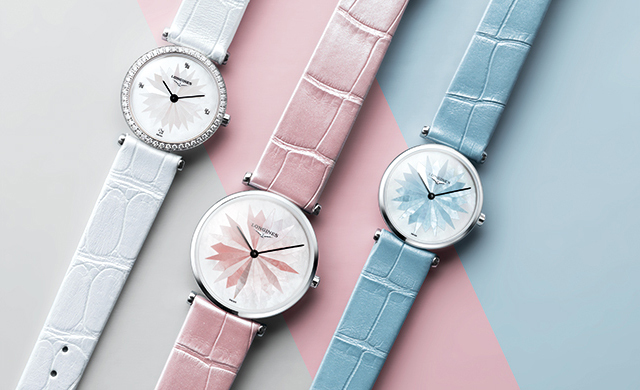 Three fresh, springtime colours adorn the dials and straps of the two new models in 24 and 29 mm cases. 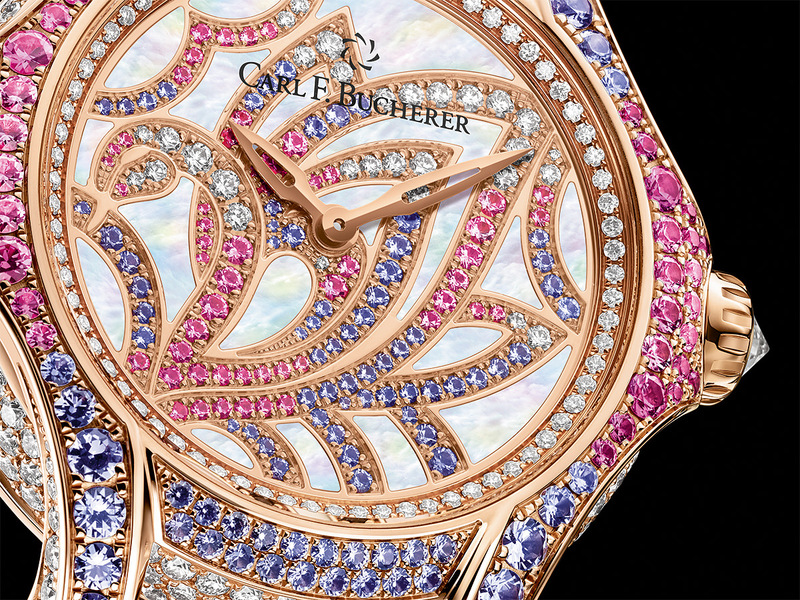 The dials feature mother-of-pearl star motifs while the bezels can be set with diamonds. They have always been an option, but with the quick click change, they made it noteworthy. 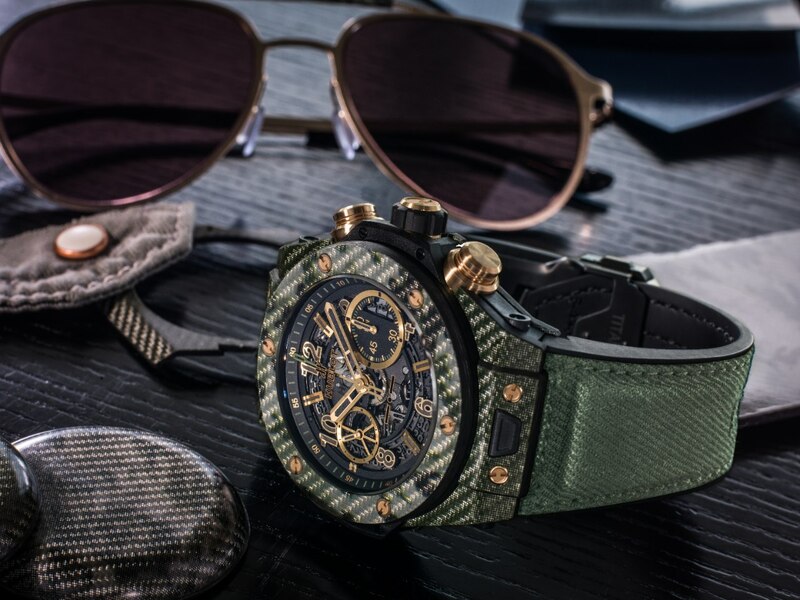 Available in black, blue and green military camouflage colours, the 45-mm chronograph is equipped with a ‘one click’ interchangeable bracelet mechanism and comes with two straps. The first is cut from chino fabric while the second features SuperFabric®, an ultra-high performance ‘armoured’ fabric which is strong yet flexible and light. 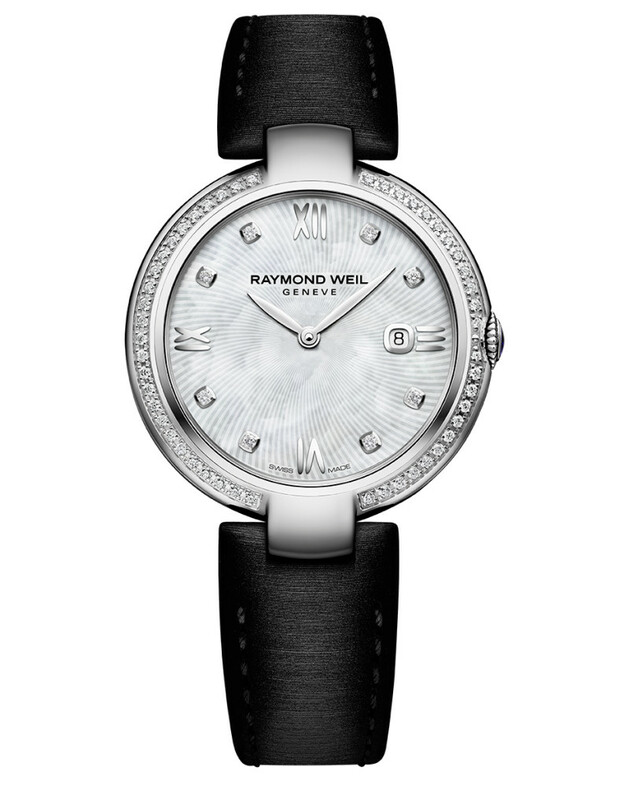 32mm dial set with 49 diamonds. Exclusive patented interchangeable bracelet system accessible on the back of the case. Bracelet is polished stainless steel or satin black strap equipped with a RW folding clasp with double-push security system and full opening option. This year's version comes with a patented interchangeable strap system which allows the wearer to switch between a variety of bracelets with exclusive textures and colours. 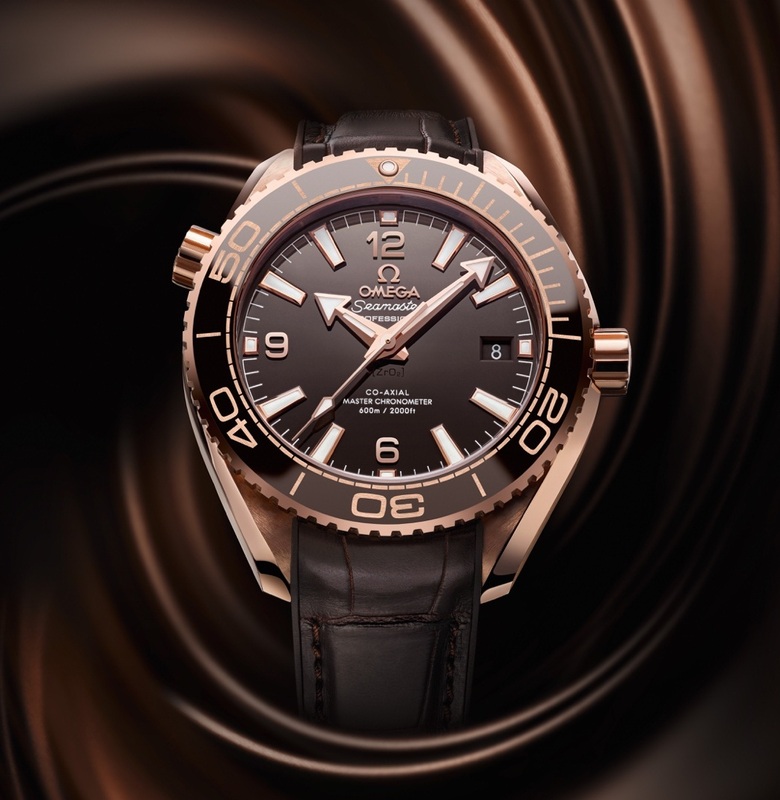 For the first time, the nautical watch was offered in Everose Rolesor – a combination of 904L steel and 18 ct Everose gold – with a chocolate dial. This watch commemorates the 100th anniversary of The Boeing Company. The distinctive brown colour of the Boeing 100 was inspired by a cockpit colour often used in the older Boeing aircraft called ‘Boeing Brown’ which was reportedly designed to make the cockpits more relaxing to be in. 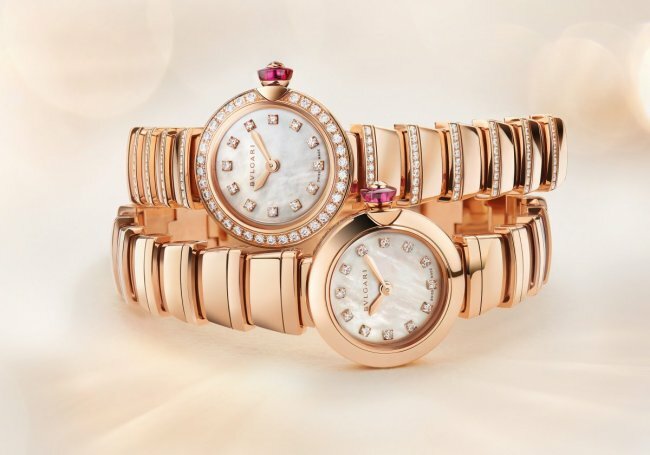 The 18-carat Everose gold watch features a brown guilloche dial and a tobacco leather bracelet. 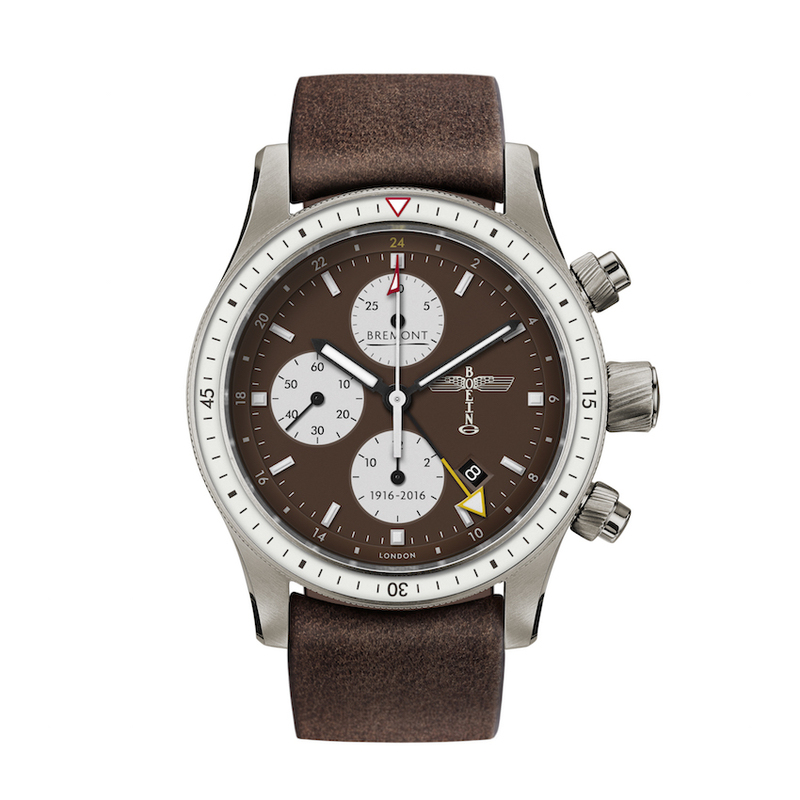 The 39,5 mm version features a matt havana alligator leather strap. Limited to just 74 pieces, the latest riff on the Ingenieur has a brown sumptuous calfskin strap to complement its solid red gold case. 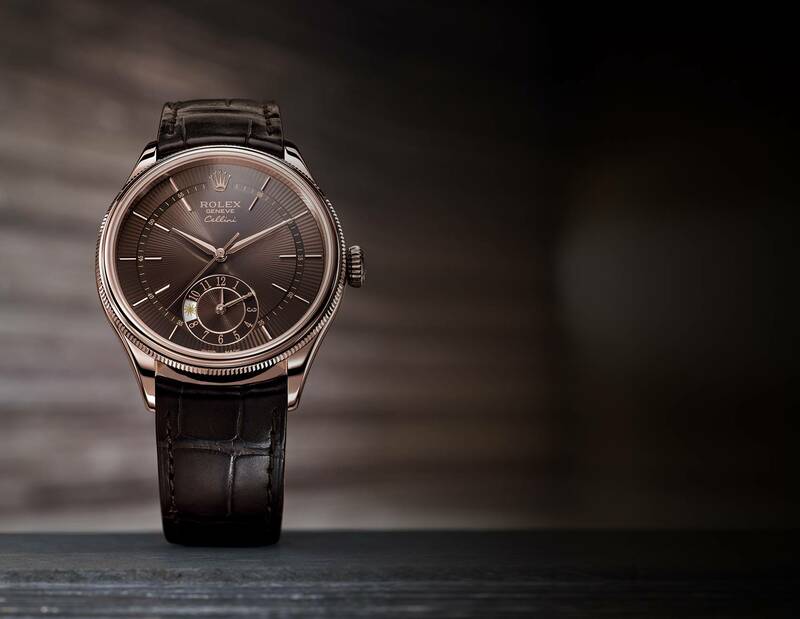 Combining the warm colour of the 18-carat Sedna gold with rich chocolate ceramic, this is marketed as a ladies’ model, because of its 39.5-mm size. Among the collection's 13 models is this rose PVD watch with a brown sunbrushed dial and white mother-of-pearl dots to mark the hours. 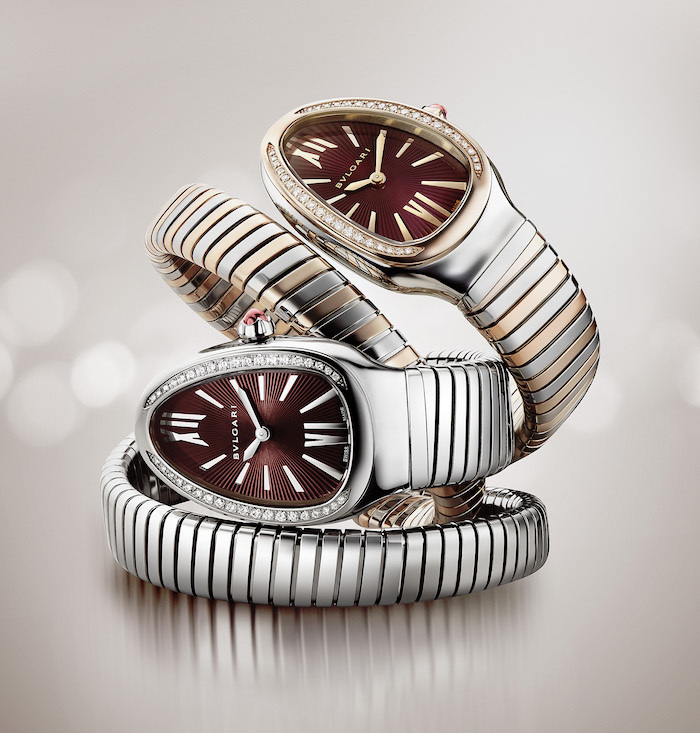 The Serpenti timepieces are back in a more contemporary avatar, taking inspiration from a vintage 1930s brooch crafted in Bulgari’s haute joaillerie ateliers, and – for the very first time – featuring the serpent coiled around the watch dial. 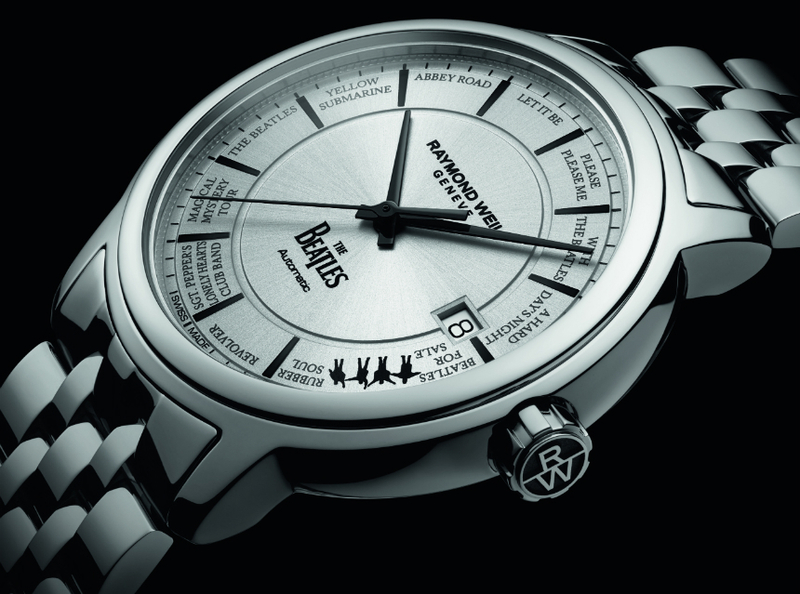 Honouring the watchmaker's 40th anniversary, the model features the 13 Beatles’ album titles written around the bespoke dial. 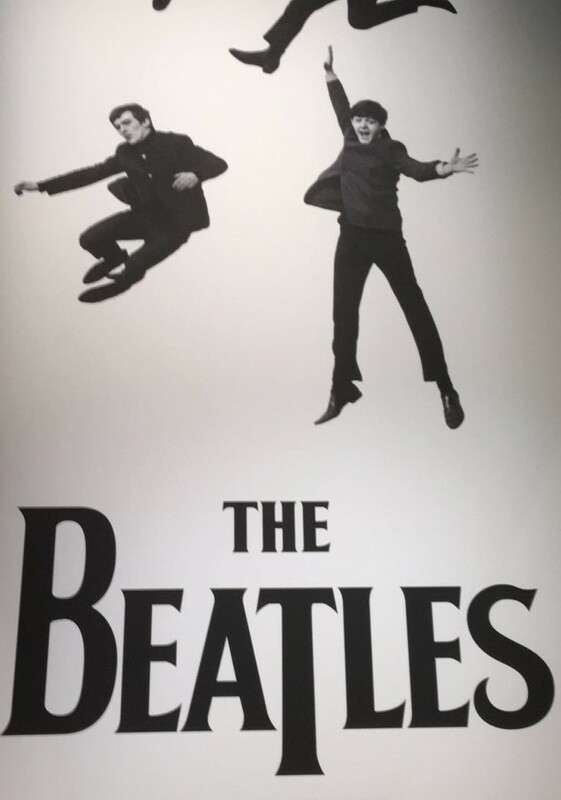 The official Beatles logo is also seen on both the dial and the caseback. 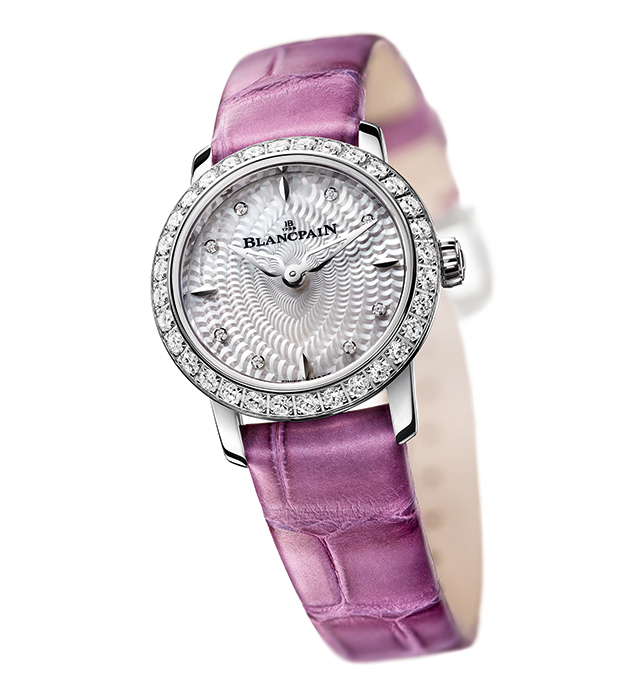 The 30 mm white-gold watch features fluted sides and a bezel and lugs enhanced by delicate brilliant-cut diamonds. 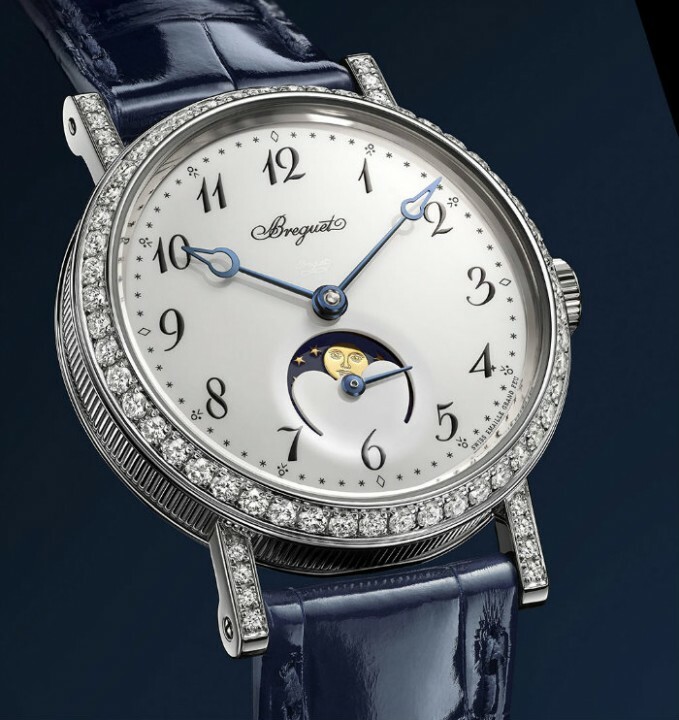 The dial in white ‘grand feu’ enamel is adorned with Arabic numerals, also known as ‘Breguet numerals’. 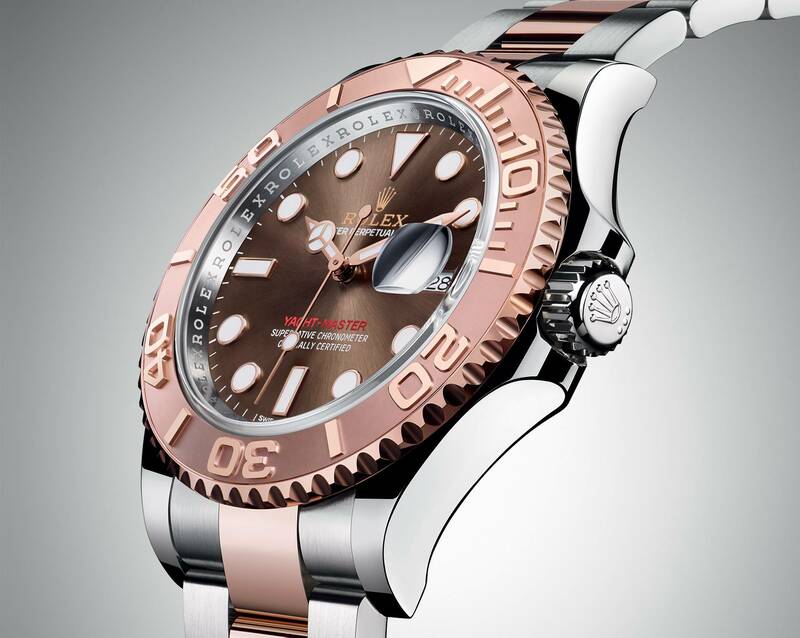 The 904L steel watch carries the Superlative Chronometer certification redefined by Rolex in 2015. 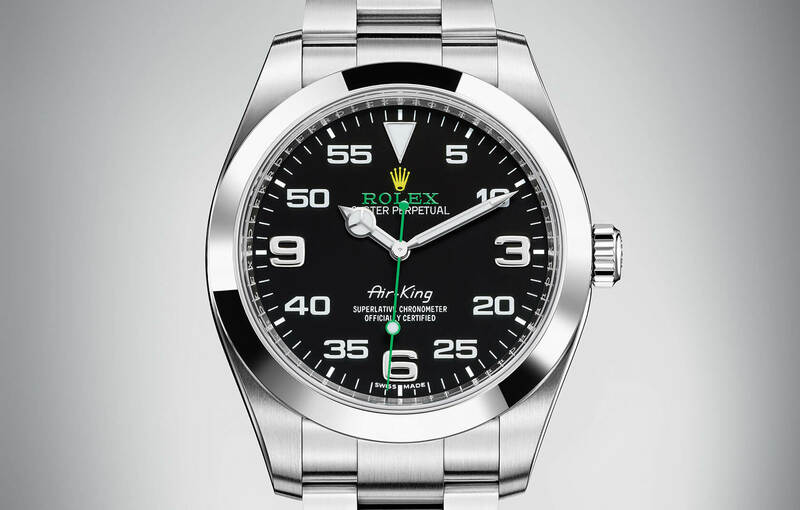 Its monobloc Cerachrom bezel, developed and patented by Rolex, in black ceramic is reminiscent of the 1965 model that was fitted with a black Plexiglas bezel insert. The 44 mm stainless-steel watch boasts a moon-phase aperture at 6 o’clock, plus 12-hour register and date sub-dials at 3 and 9 o'clock respectively. Inspired by the daintiness of feminine attire, it features delicate lacework directly cut from a wafer-thin disc of mother-of-pearl. 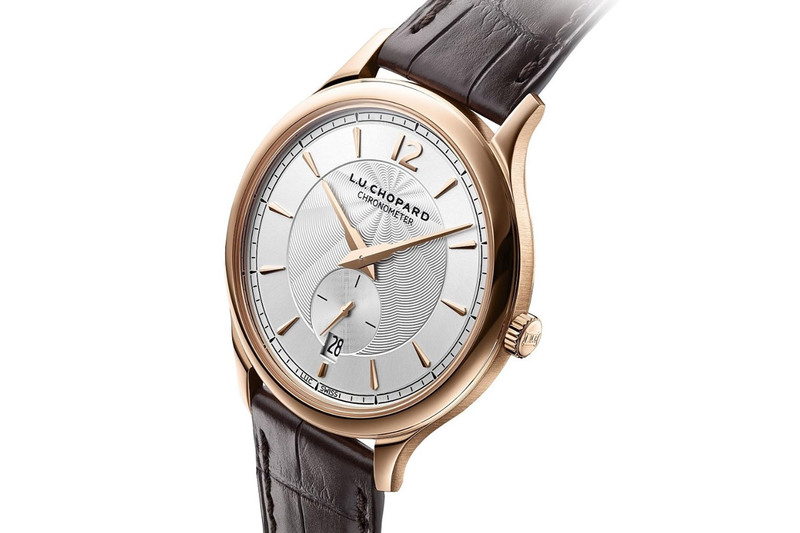 The first automatic timepiece in the brand's women's watch collection, it was created in collaboration with master watch designer Eric Giroud. 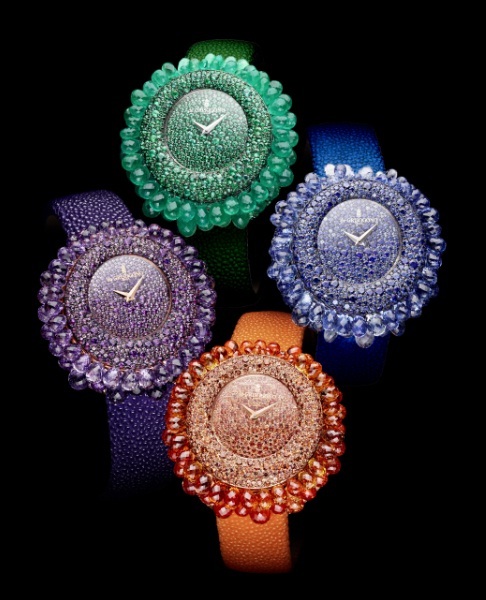 The watch features a round face and a curvy domed case containing approximately 4,000 tiny faceted crystals that sparkle with a turn of the wrist. 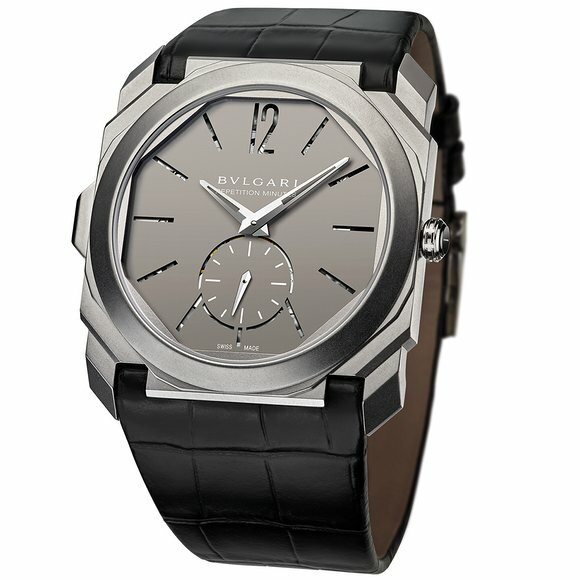 With this, the watchmaker pays homage to the first watch created for its iconic L.U.C collection. The 40-mm watch is available in an 18-carat rose-gold limited edition of 100 pieces, and a non-limited edition in stainless steel. 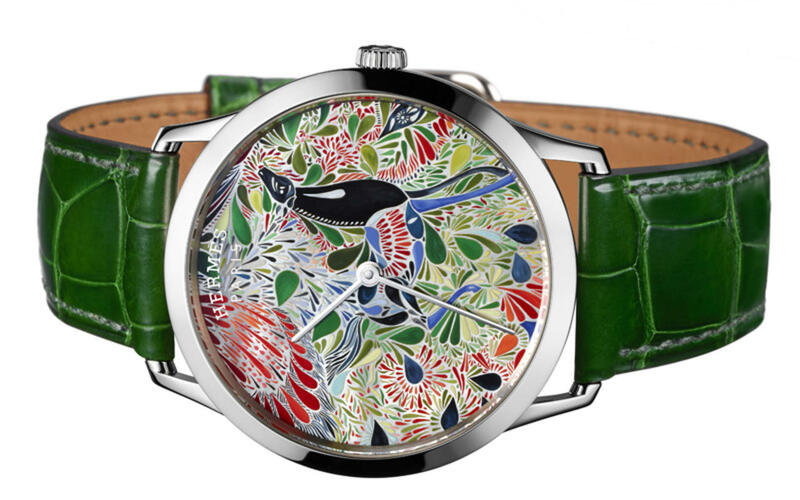 Paying homage to the art of miniature painting and using the mother-of-pearl dial as its canvas, the watch is inspired by an Hermès silk scarf created by graphic designer Laetitia Bianchi. A watch that perpetuates the aeronautical heritage of the original Rolex Oyster, it is powered by the brand's Calibre 3131. 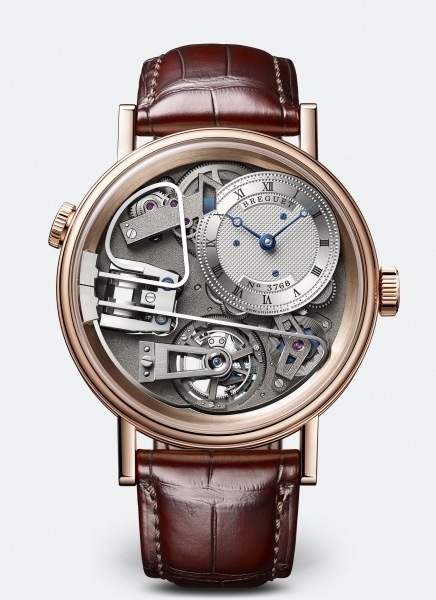 It features a self-winding movement with a 48-hour power reserve as well as several innovations like the blue Parachrom hairspring and Rolex overcoil. One of the slimmest models from the brand, it is available in either a polished stainless steel or lush rose-gold-plated case. The FC-312 caliber, one of the most slender automatic movements in its category, drives the heart beat, hours and minutes functions. 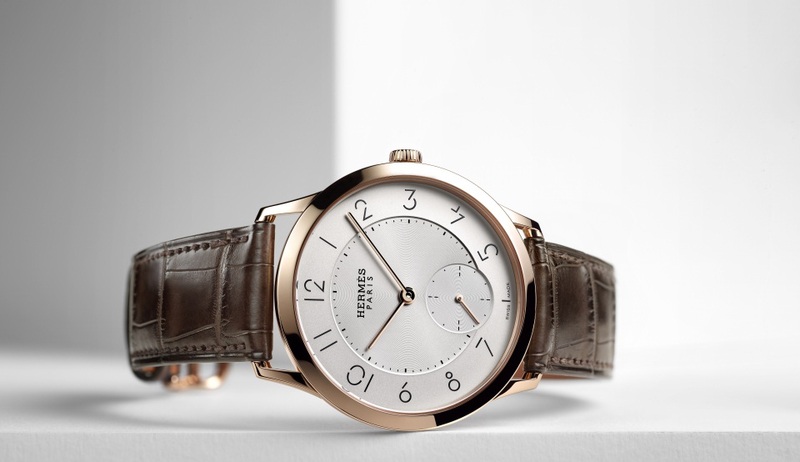 The movement beats at a frequency of 28,800 alt/h with a 42-hour power reserve. For its third year of participation, the brand presented the official watch of the UEFA Euro 2016. 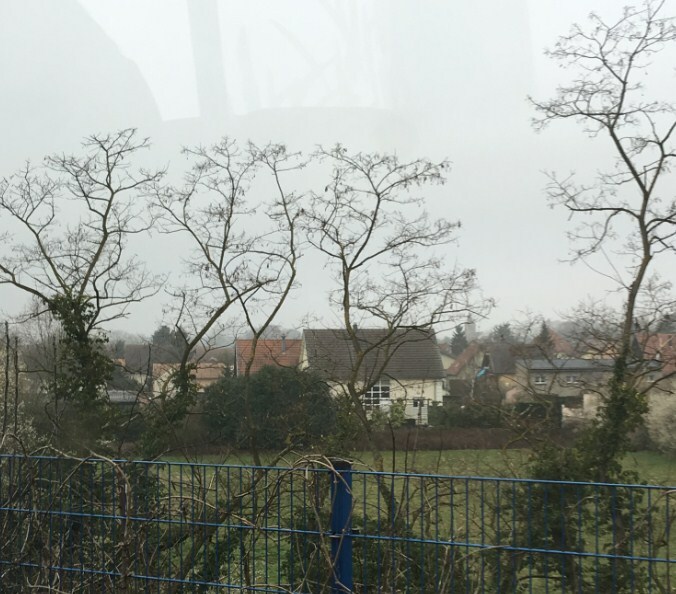 It wears the colours of France, the organising country of the football tournament. 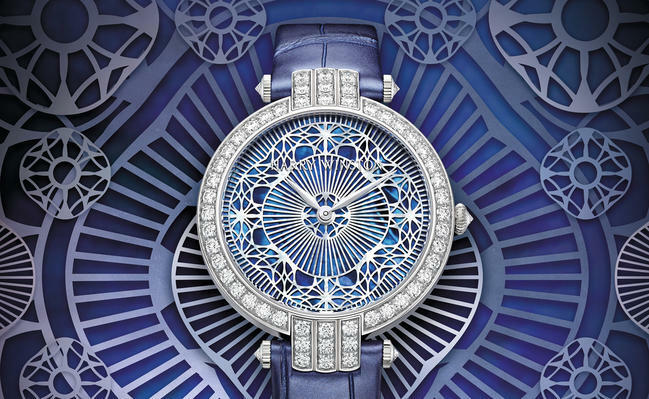 The case, mother-of-pearl dial and strap of this jewellery watch are adorned with 922 hand-set, Top Wesselton diamonds and sapphires. 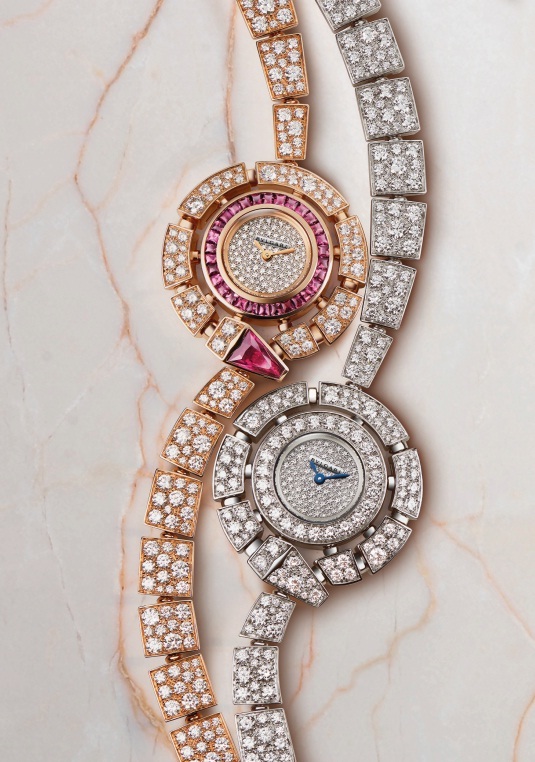 Combining two of Bulgari’s traditional motifs, the Serpenti and the Tubogas bracelet, this model is highlighted by its two-tone bracelet and a violet lacquered dial with a sunburst guilloche. 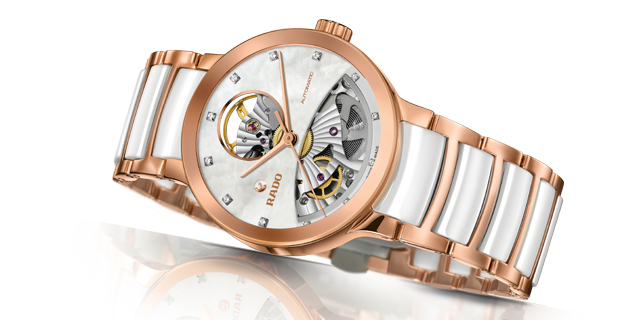 Each of the watches (two in rose gold and two in white gold) incorporate the ancient Japanese artistic technique of Raden, which uses silk thread and slivers of natural mother-of-pearl to weave a luminous fabric. 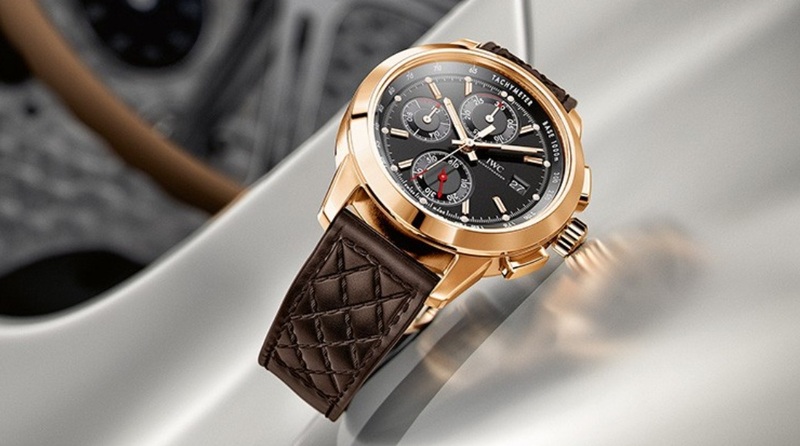 The brand introduced two of these watches, both based on the legend of the Monkey King (Sun Wukong), widely referred to in Chinese literature. 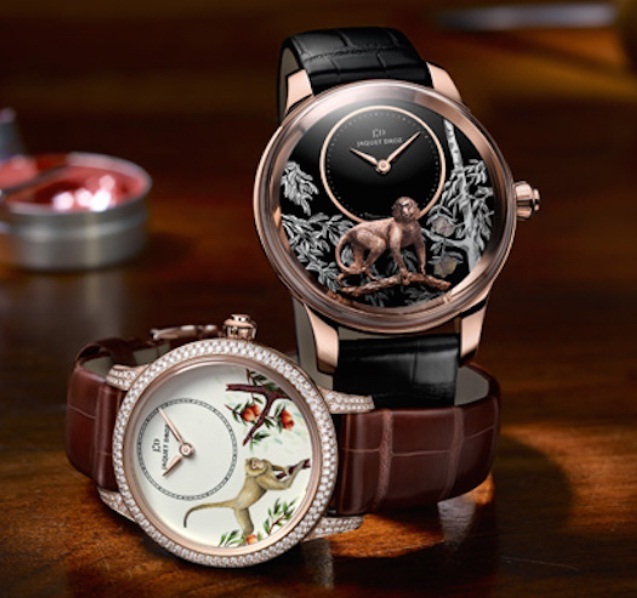 One version utilizes an ivory Grand Feu enamel dial with painting while the other features a sculptured gold monkey, created in relief, upon a lacquer and mother-of-pearl dial with carved foliage in the background. 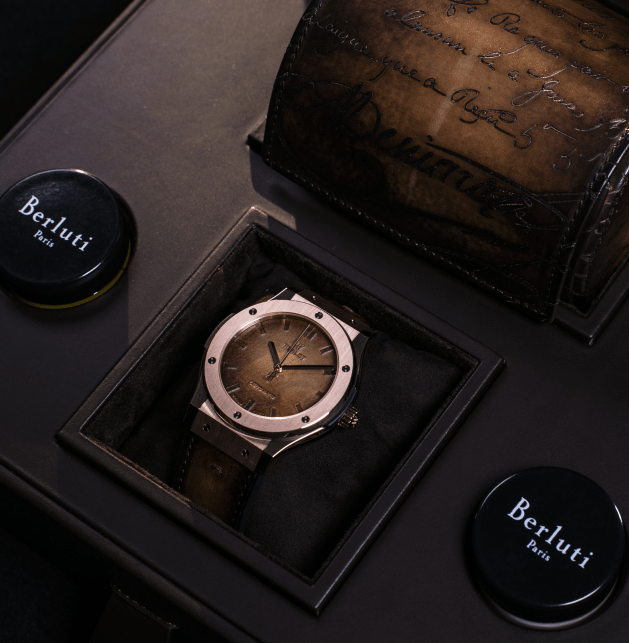 In celebration of Berluti’s 120th anniversary, Hublot partnered with the Parisian shoemaker to revisit its Classic Fusion model. 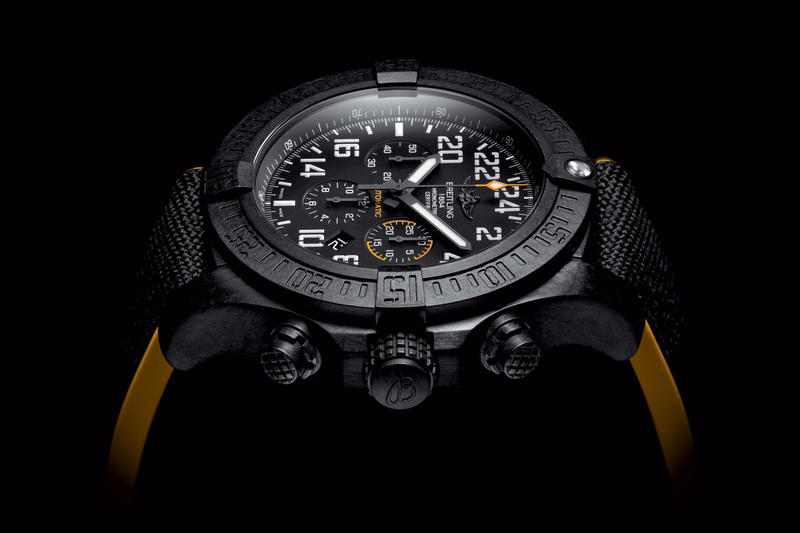 The limited edition is available in two models, All Black and Scritto. 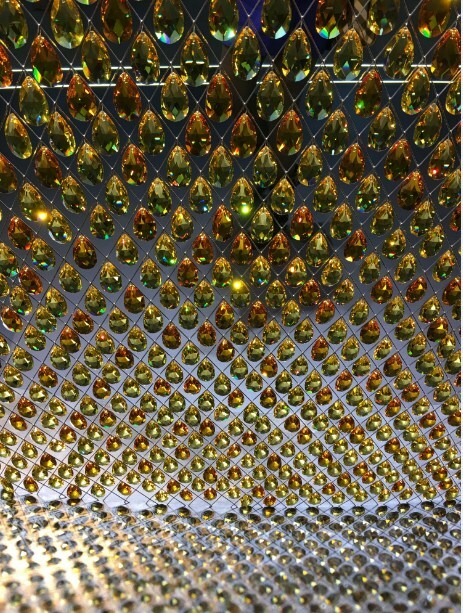 For 2016, the couture house brought glitz to the Faubourg Manchette by bejewelling the case with a handcrafted 36-gemstone baguette setting of either diamonds, emeralds, blue or brown sapphires. 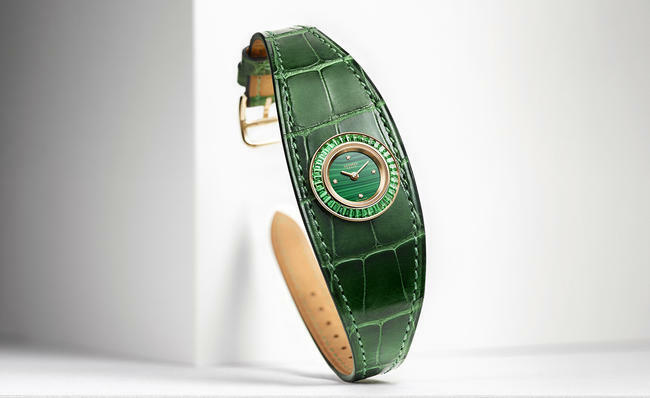 What's more, this version sees all four bracelets made in alligator instead of calfskin, using Hermès’ famous saddle-stitching technique. 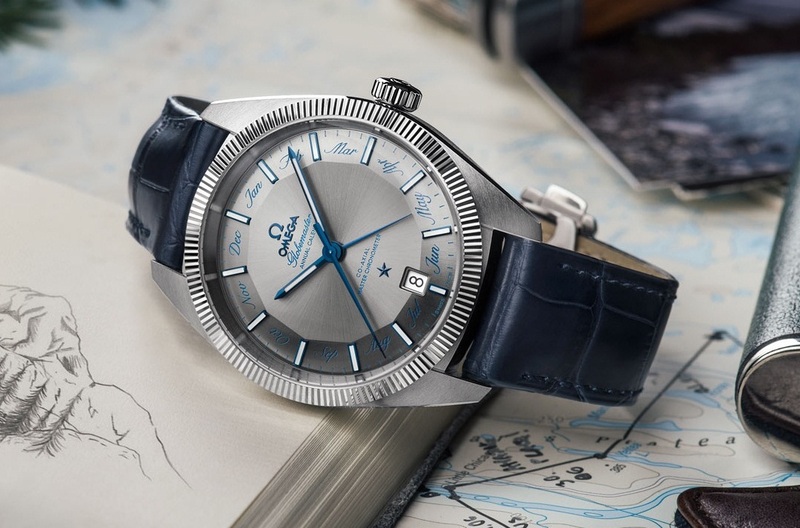 The latest Globemaster features a Pie Pan dial and a central varnished blue hand indicating the current month through an instantaneous jump. 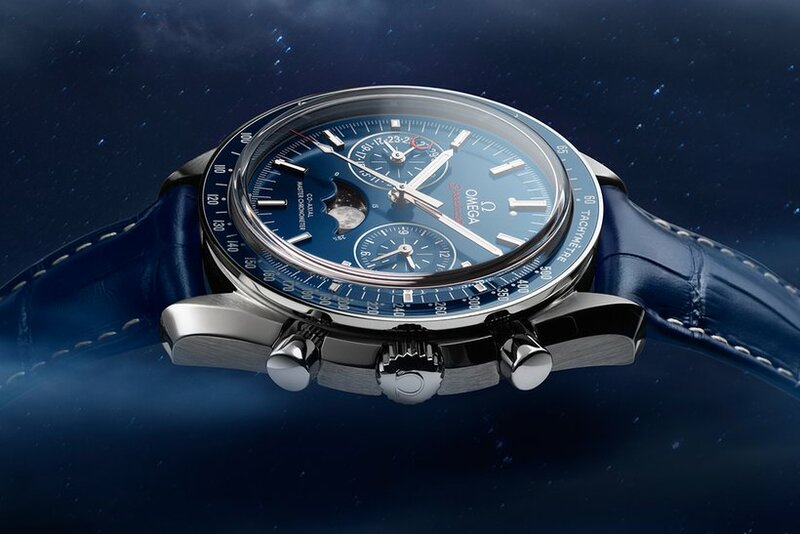 The 41-mm timepiece is driven by the new OMEGA Co-Axial Master Chronometer Calibre 8922. With this, the watchmaker took on the previously unmet challenge of developing a timepiece around a predetermined sound. The timepiece thus boasts 6 new patents and 5 innovative elements never seen before in a wristwatch repetition mechanism. 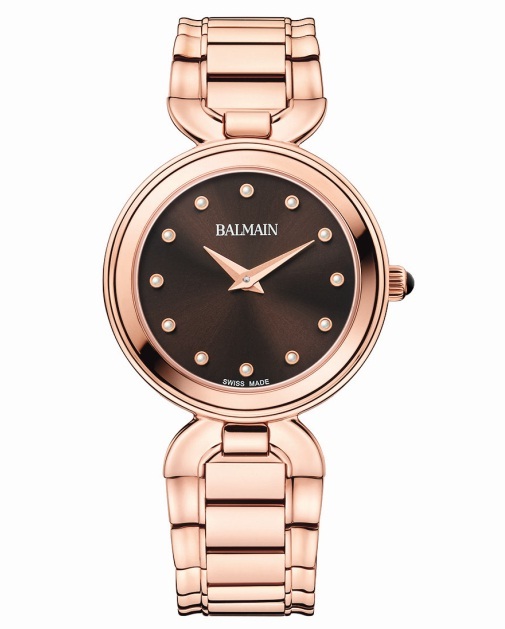 It comes in a 44 mm rose gold case. The Métiers d’Art creation highlights a gemstone called Mexican silver obsidia, used by the brand for the first time. 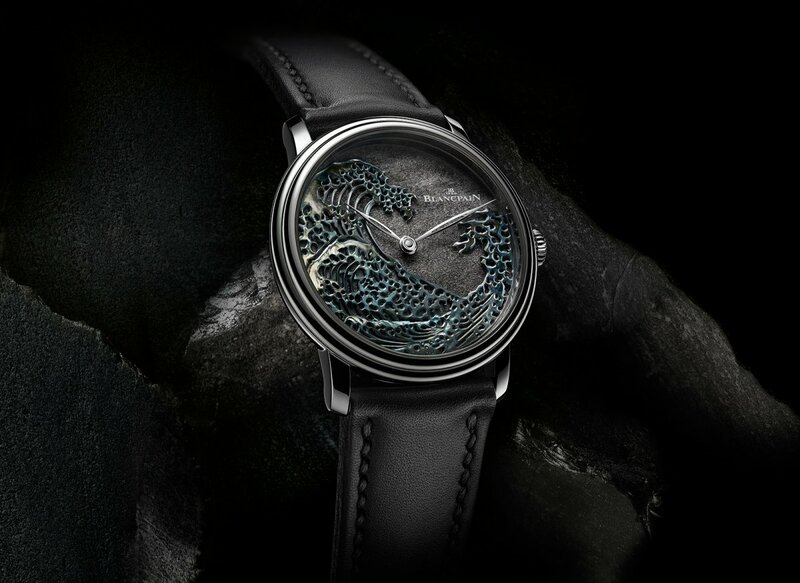 Crafted in a white gold patina, the engraving is inspired by the Great Wave print by Japanese artist Hokusai. 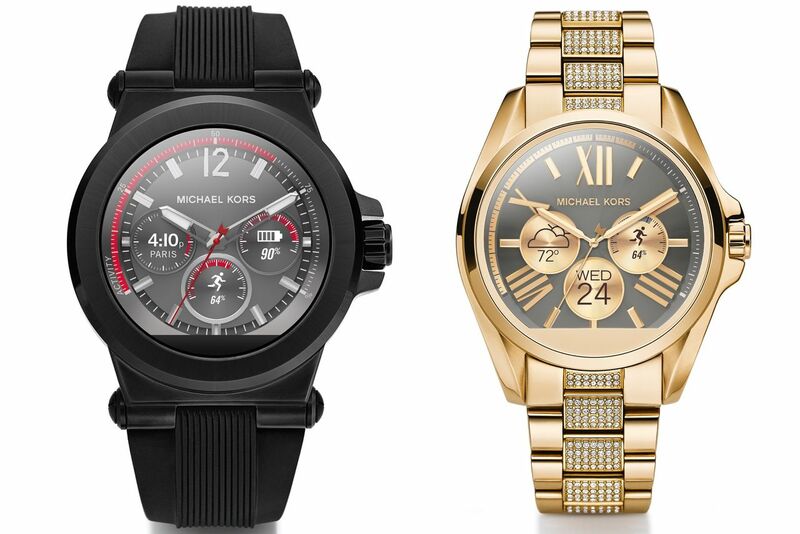 Way up from the previous year, Baselworld threw up a bunch of watches with gadgetry. Whether it works or not, time will tell. The jewellery and watchmaker teamed up with the tech giant for this limited edition model of the Gear S2. 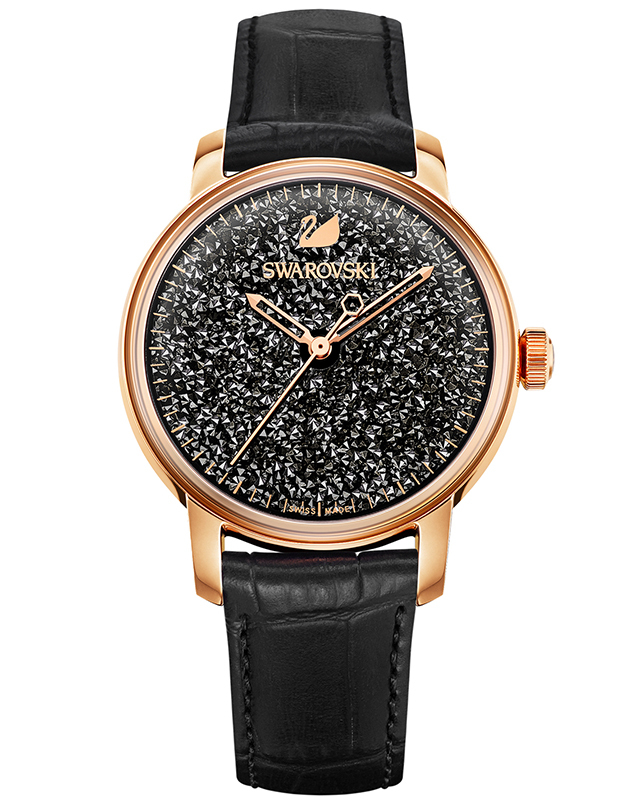 It boasts a 41mm case made out of rose gold and black DLC-coated stainless steel, 56 white diamonds, 71 black diamonds and a black galuchat strap. It connects via Bluetooth 4.1, WiFi, and an NFC chip, and its display shows 360 by 360 pixels in Super AMOLED. 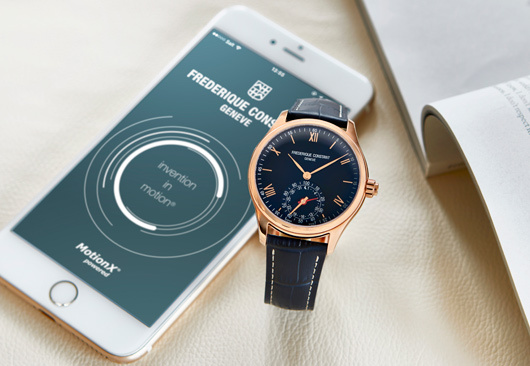 Built with the MMT-285 calibre, it is powered by Fullpower MotionX the new version of this smartwatch has a new worldtimer function that syncs with the user’s smartphone. 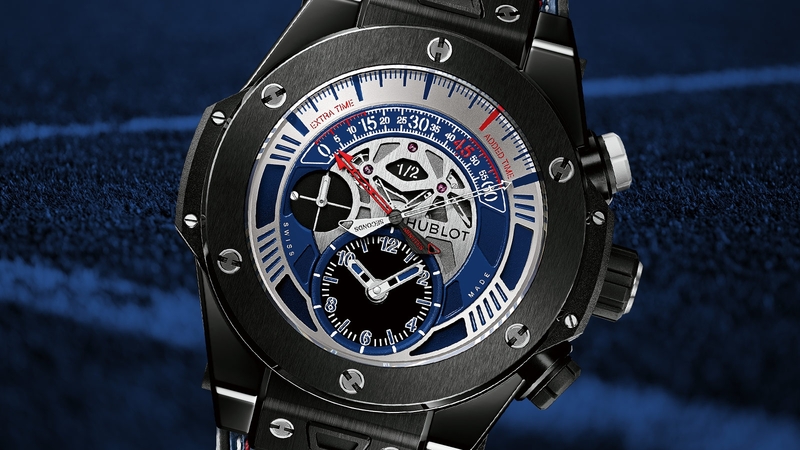 A blue crocodile strap and a gold-plated steel case keeps it elegant. 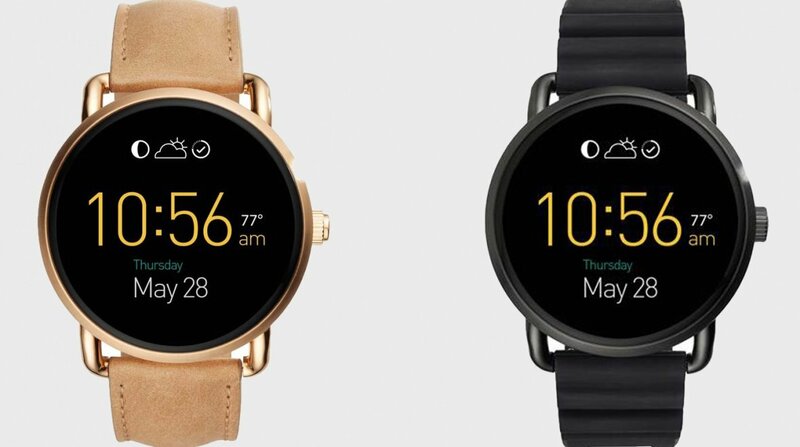 Available in two models aimed at men and women, this also has Android Wear on board. Besides interchangeable leather and silicone wristbands, it features exclusive MK display watch faces which change with a swipe. 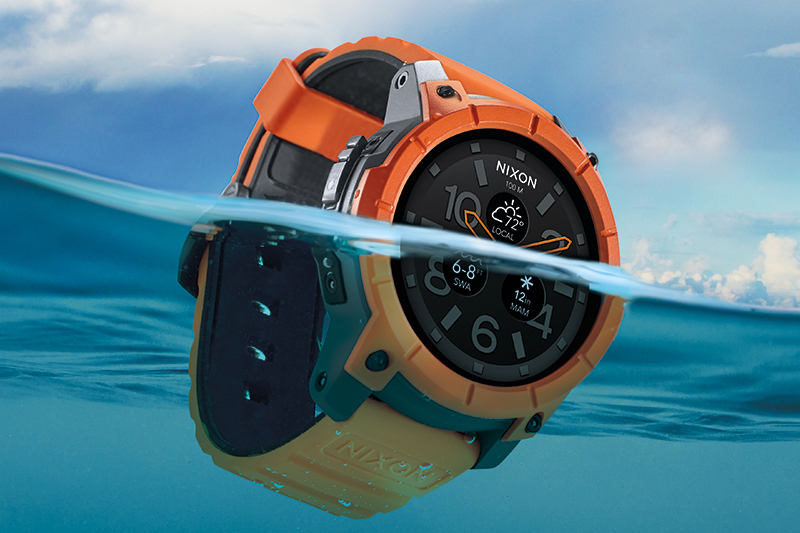 Built on the latest technology from Google’s Android Wear platform and the Qualcomm Snapdragon Wear 2100 system-on-chip (SoC), it features custom applications tailored to action sports, pioneering durability and a category-first 100 metre water-resistance. 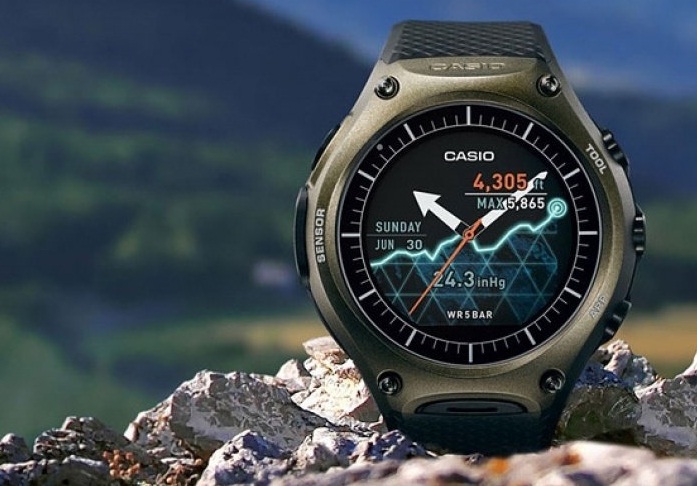 Available in orange, black, green and red, the company's first outdoor-focused Android Wear watch impresses with a dual-layer screen with the ability to last a month using its secondary low-power LCD, in addition to its connected camera which uses the smartwatch as a viewfinder. Touchscreen displays, refined steel and classic leather accents are complemented by a 44-mm or 46-mm case offered in multiple finishes. Both models feature always-on displays, Google Now™ cards, customisable watch face designs and a new slim wireless charger . The newest member of the T-Touch family, it is made with a solid titanium case, a ceramic bezel, and anti-reflective sapphire crystal. 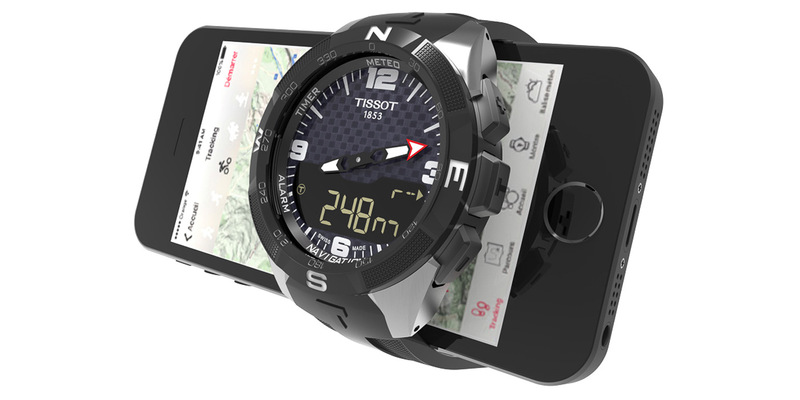 The watch has 30 functions including an altimeter, automatic time updates, navigation and weather.